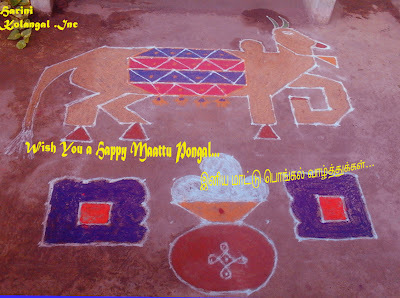 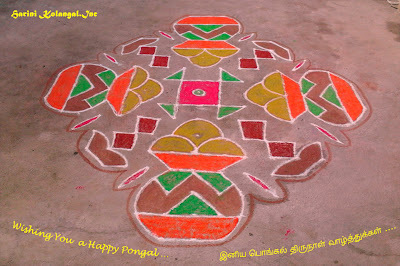 One of my Pongal Kolangal, was drawn by Ms Saraswathy Iyer, reader of my Kolam blog, on the Pongal Occassion. I am grateful to her for sending her Kolam. 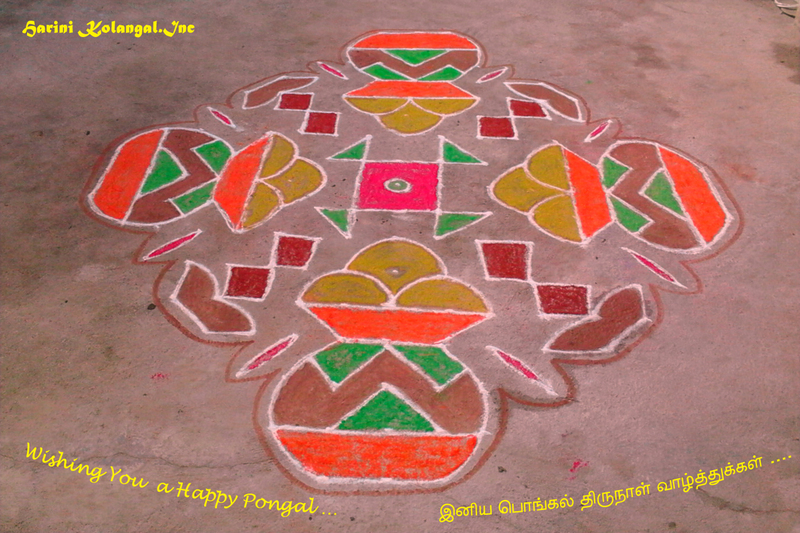 Above Kolam was drawn at a Park in Anna Nagar on account of Pongal Celebration. 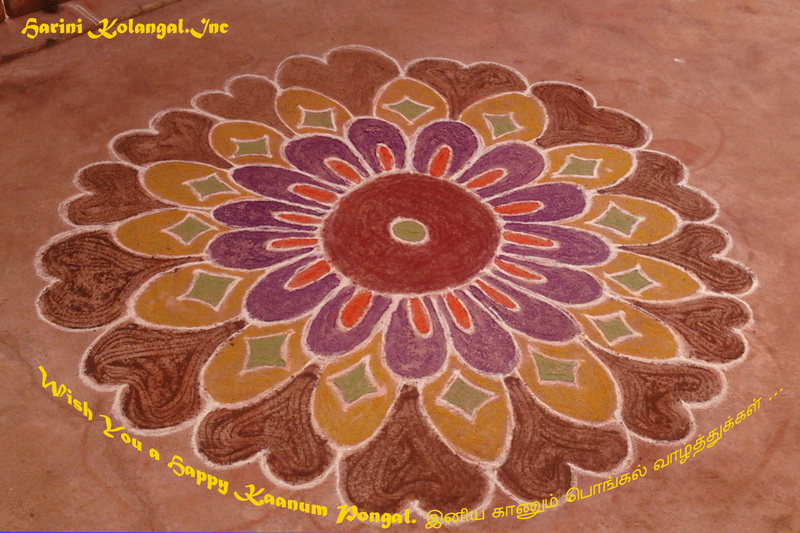 Ms Harini sent the following Kolangal drwan by her on Pongal Days.